Check out the rest of our Art and Animal umbrella range! Another beautiful folding umbrella with detailing and colouring second to none. 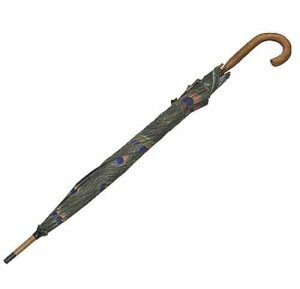 Strut your stuff with our beautiful Peacock feather design folding compact travel umbrella. As well as shaped edges giving that extra wow factor. Featuring virtually unbreakable fibreglass ribs, fully automatic opening and closing with a length of 31 cm when closed and an ample diameter of 102 cm when open. 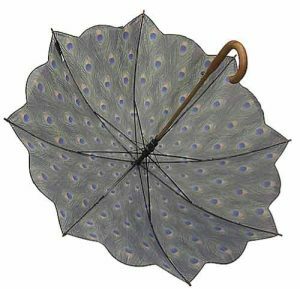 This peacock umbrella really is something special. 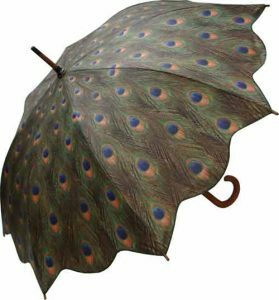 A gorgeous addition to our range of travel umbrellas with their repeated peacock tail feather design. Features an automatic opening & closing mechanism. 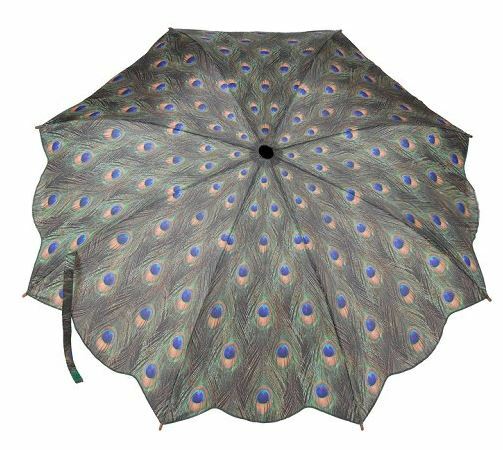 So why not treat you or a loved one to a prosperous peacock umbrella!